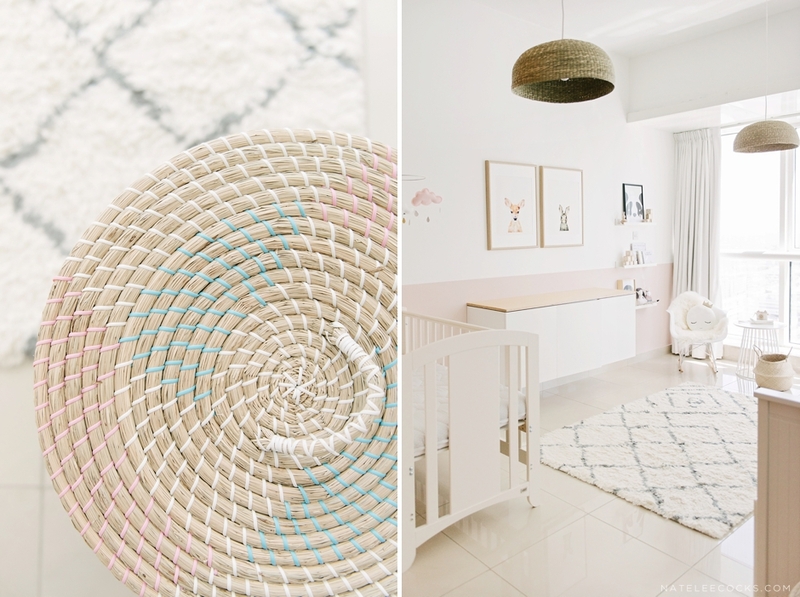 Kathryn – Earlier this month, we installed a nursery in a beautiful Downtown Dubai apartment for the sweetest baby girl. She’s been sleeping in mum and dad’s room until now, but it was time for the big transition into her own space. 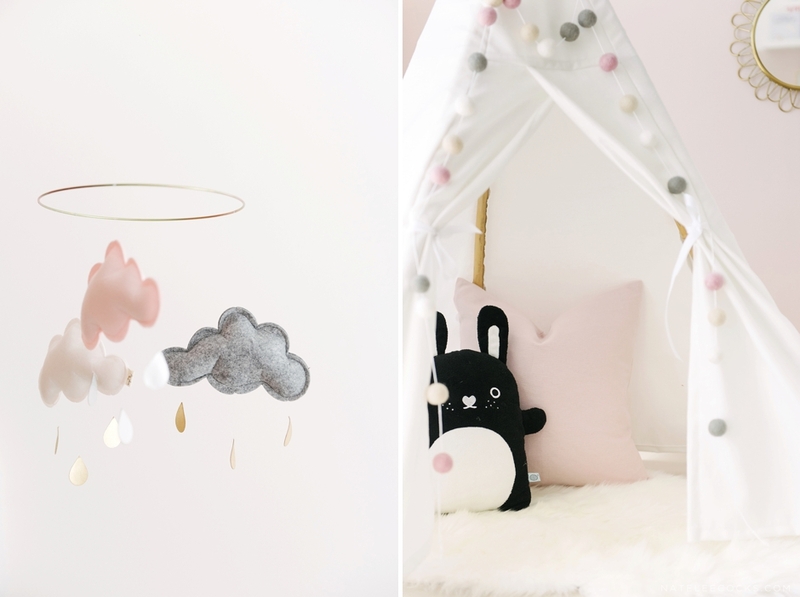 Mum had a pretty good idea of what she wanted for the nursery – a calm and tranquil space for her daughter to grow into. A room design always has a starting point, and for this room, there was one particular feature that I had in mind from the get-go. 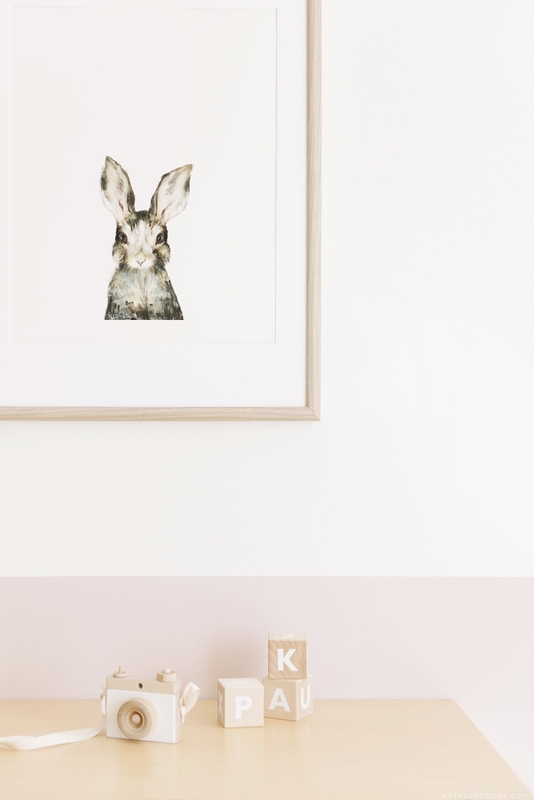 I had recently discovered the work of Canadian-based AMY HAMILTON on the SOCIETY6 website and had fallen in love with her collection of little animal illustrations – they seemed perfect for this room. Luckily, my client loved them too. It was a tough choice deciding which animals to use but I finally settled on the Little Deer and Little Bunny. I am so happy with how they look in the room. 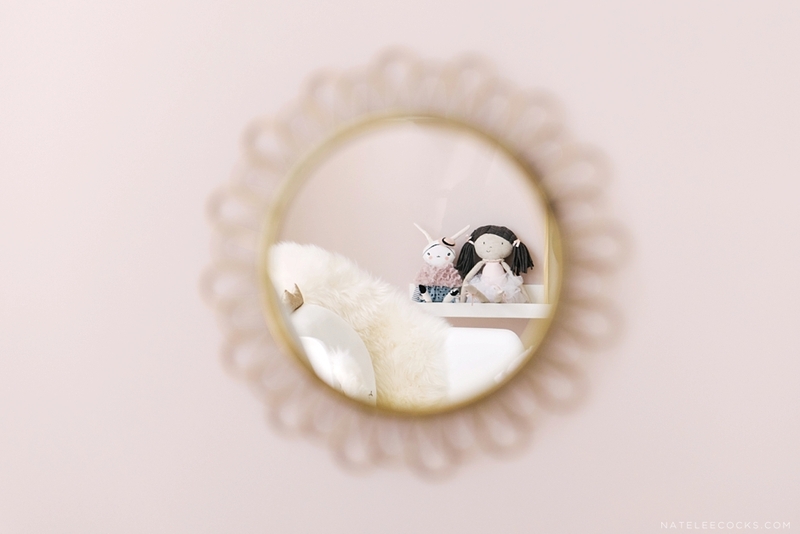 From that point onwards, anything cute and cuddly was welcome in this design – and as a result, this nursery is filled with a variety of little creatures from prints and cushions to toys and accessories. 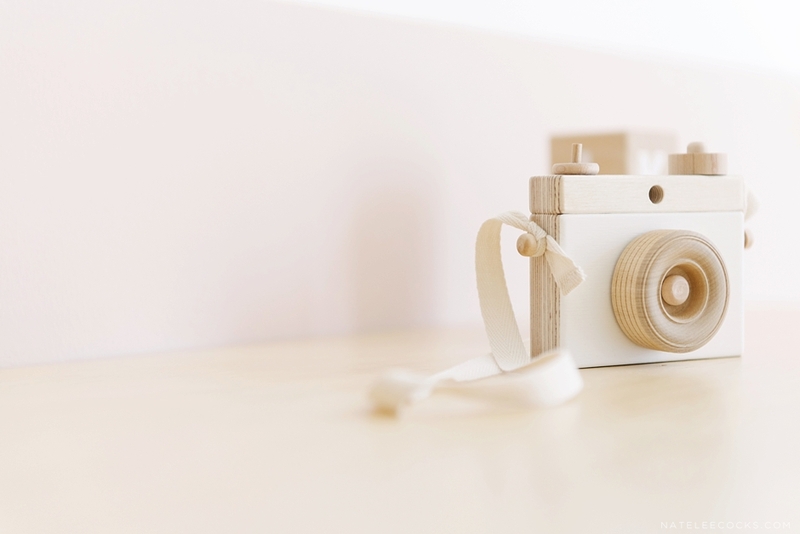 The palette of pastel pink and tones of grey is complimented by woven earthy textures and raw wood elements. We incorporated prints from some of our favourite designers, like the adorable Panda from MUNKS + ME, Pocahontas and the Crown from MINI LEARNERS, Daisy from PAX AND HART’S new collection and MRS MIGHETTO’S Miss Vivienne. 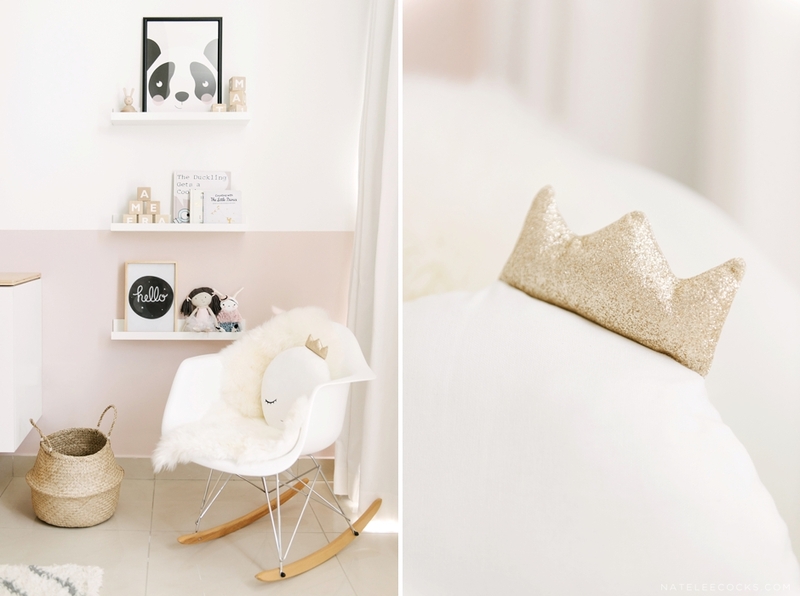 Cute cushions and adorable accessories take centre-stage in this baby haven. 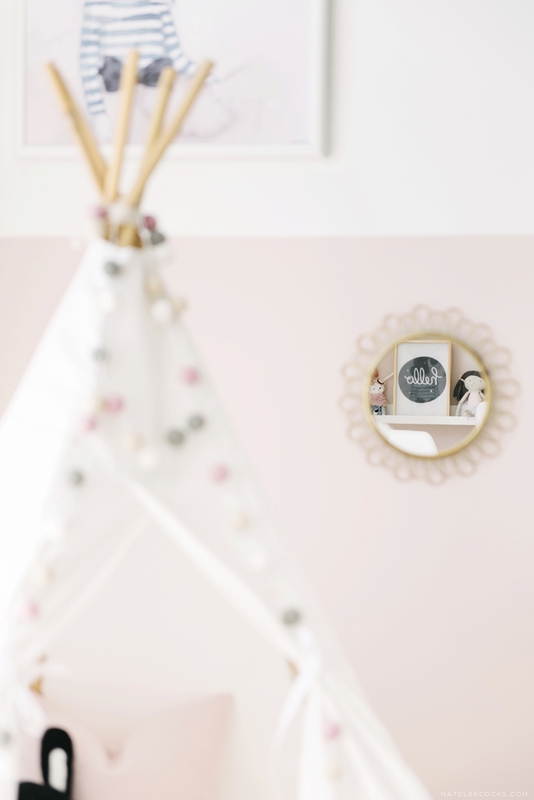 For the wall colours, we opted for a white base with a subtle pink colour block in a satin finish from JOTUN PAINTS. The ability to wipe walls clean in children’s rooms is an absolute must. The design features a custom-made floating cabinet that offers all the space and practicality of a changing table without looking like a regular changing table. This versatile piece of furniture will multi-task it’s way through the various stages of this little tot’s development as the room requirements change over time. On occasion, the nursery may be needed as an extra room for guests, so we included a IKEA DAY BED that transforms into a sofa bed. It also offers a comfy spot for feeding and reading to the little one. 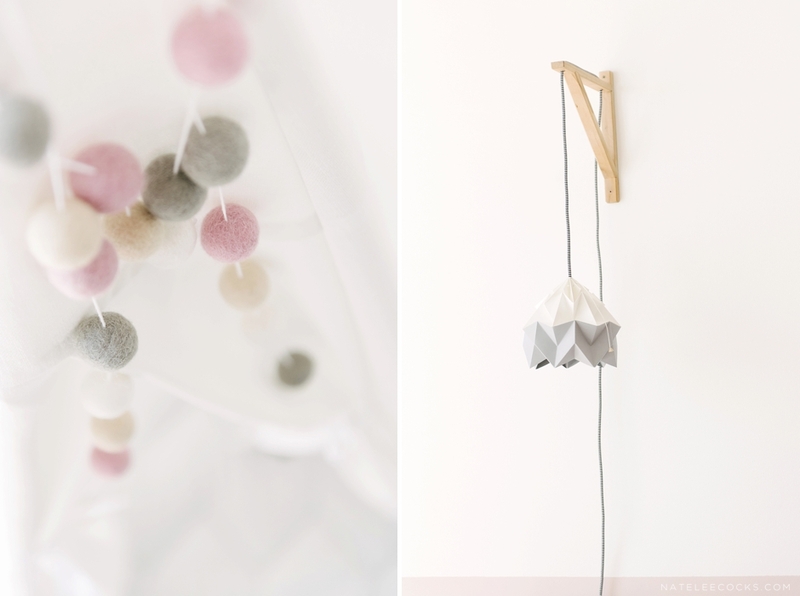 The ceiling lights are also an IKEA hack – we transformed simple sea grass baskets into gorgeous pendants. We wish this gorgeous little family many happy moments in this new room.